﻿ Alloy 825 Refactory Anchors, Incoloy 825 Refactory Anchors Exporter. 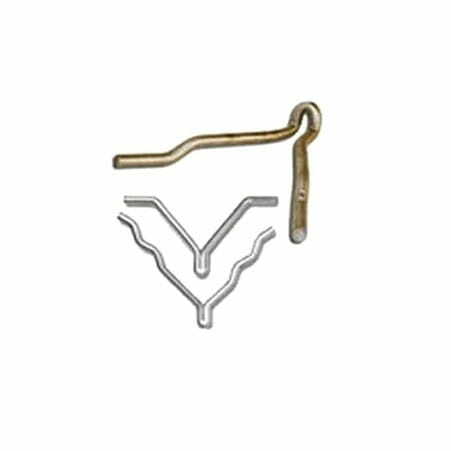 Incoloy 825 WV Anchors Manufacturer, Alloy 825 Corrugated Anchors Exporter, Incoloy 825 UV Anchors Supplier In Worldwide. Refractory anchors are devices that are used for the anchorage of refractories of various process furnaces and equipment. These anchors are basically the die stamped, welded, roll threaded wire formed used in different anchoring products. 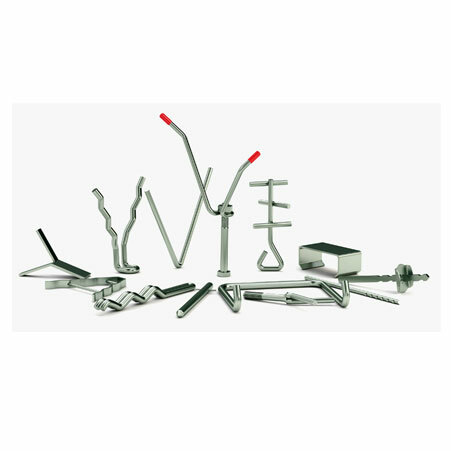 Incoloy 825 Refractory Anchors are available to customers in a wide range of custom designs and shapes. 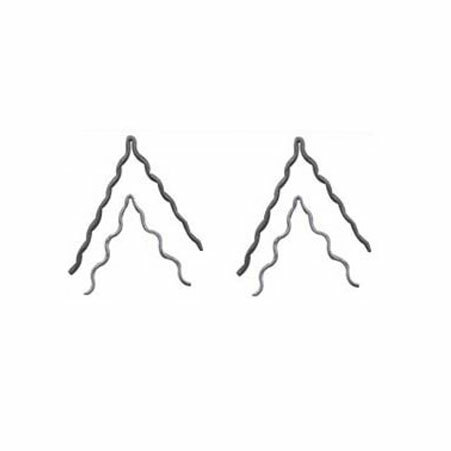 The producers of these anchors use top notch quality of raw material and latest technology for manufacturing the comprehensive range of anchors. Moreover, these Incoloy 825 UV Anchors are provided to customers in varied shapes and sizes so as to fulfill the demands of various industrial applications worldwide. On the go, these anchors cover both national and international specifications and standards so as to meet the requirements of customers. When all the tests are done, these factory anchors are packed in wooden cases or bags and delivered to customers worldwide. Hence, you can buy these Incoloy 825 UNS N08825 refactory anchors from Amcometals at an affordable price now! Incoloy 825 Refactory Anchors Manufacturer, Alloy 825 Refactory Anchors Supplier, Incoloy 825 V Anchors, Alloy 825 Y Anchors Supplier In India. Lebanon, Iraq, Thailand, Nepal, Gabon, Tibet, Netherlands, Libya, Peru, Sri Lanka, United Kingdom, Ukraine, Pakistan, Kazakhstan, Venezuela, Iran, Nigeria, Estonia, Serbia, Israel, Italy, South Korea, Oman, Morocco, Bolivia, France, Jordan, Hungary, Mexico, Vietnam, Ireland, Singapore, Mexico, Philippines, Kuwait, Angola, Bhutan, Taiwan, India, Sweden, United States, Yemen, Namibia, Greece, Mongolia, New Zealand, Norway, Switzerland, Austria, Ghana, Chile, Malaysia, Romania, Slovakia, Croatia, Japan, China, Gambia, Afghanistan, Bangladesh, Poland, Bahrain, Belarus, Lithuania, Denmark, Canada, Hong Kong, Bulgaria, Australia, Costa Rica, Qatar, Belgium, Czech Republic, Colombia, United Arab Emirates, Nigeria, Portugal, Spain, Algeria, South Africa, Trinidad & Tobago,Tunisia, Egypt, Germany, Iran, Russia, Chile, Zimbabwe, Indonesia, Macau, Puerto Rico, Azerbaijan, Ecuador, Saudi Arabia, Brazil, Finland, Argentina, Turkey, Poland, Kenya. Muscat, Coimbatore, Thane, Dammam, Melbourne, Busan, Kolkata, Kuala Lumpur, London, New Delhi, Algiers, Navi Mumbai, Chiyoda, Ho Chi Minh City, Singapore, Hanoi, Bogota, Jamshedpur, Mumbai, Thiruvananthapuram, Mexico City, La Victoria, Milan, Brisbane, Faridabad, Riyadh, Houston, Rajkot, Chennai, Baroda, Santiago, Cairo, Pimpri-Chinchwad, Sharjah, Ahvaz, Visakhapatnam, Edmonton, Dallas, Doha, Courbevoie, Aberdeen, Lahore, Dubai, Madrid, Kuwait City, Al Khobar, Jaipur, New York, Moscow, Toronto, Nagpur, Indore, Surat, Al Jubail, Los Angeles, Sydney, Ahmedabad, Bhopal, Karachi, Ranchi, Montreal, Calgary, Haryana, Vung Tau, Seoul, Rio de Janeiro, Bengaluru, Gimhae-si, Howrah, Kanpur, Granada, Colombo, Hong Kong, Geoje-si, Atyrau, Noida, Jeddah, Abu Dhabi, Perth, Istanbul, Caracas, Petaling Jaya, Bangkok, Tehran, Vadodara, Jakarta, Pune, Nashik, Port-of-Spain, Hyderabad, Secunderabad, Ernakulam, Ulsan, Manama, Ankara, Lagos, Chandigarh, Gurgaon, Ludhiana.